Battle of Lincoln 1878 The Battle of Lincoln, New Mexico was a five-day-long firefight between civilians that took place from July 15–19, 1878 in the named city. 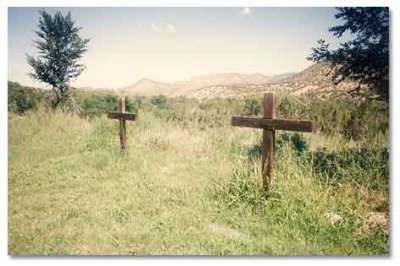 It was the largest armed battle of the Lincoln County War and the climax of that civilian conflict in the New Mexico Territory. 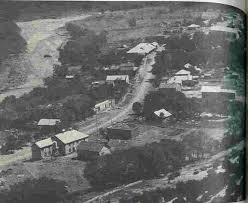 The firefight was interrupted and suppressed by United States Cavalry led by Lt. Col. Nathan Dudley from Fort Stanton. By September 1878, when Governor Lew Wallace was appointed in charge of the Territory by the US President, many of the Regulators and other fighters had returned to normal life, often leaving the area. Wallace tasked Lincoln County Sheriff Pat Garrett to reduce lawlessness in the region. 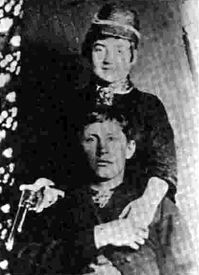 By the end of three years, he and his deputies had hunted down and killed Billy the Kid and other figures who had continued to operate as bandits and gunfighters. McSween, the former partner of John Tunstall, along with John Chisum, had organized and supported the Regulators, although he was a non-combatant. On July 15, 1878, McSween returned to Lincoln with about 41 of his supporters, ten of whom he put up in his home; the rest found beds around the town. Shortly after, a large force, hired by the "Murphy-Dolan" faction and led by Peppin, arrived in Lincoln, surrounding the Regulator faction in McSween's house. The posse and the Regulators traded gunfire for much of the day. At least five Murphy-Dolan men were wounded in the initial exchange, but the Regulators suffered no casualties During the next three days, little changed, and no precise casualty figures are known. Finally, on July 18, a cavalry detachment under the command of Lt. Col. N.A.M. Dudley from Fort Stanton arrived. They had either been summoned by frightened residents, or by a report that a soldier had been wounded in Lincoln. The soldiers quickly ended the skirmish. By the end of the third day, the McSween supporters scattered about town had all departed, leaving just the contingent holed up in the McSween house. 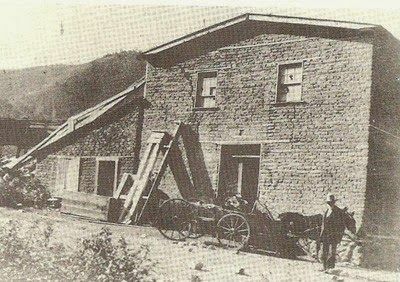 At some point during the night of July 18, the McSween house was set afire. 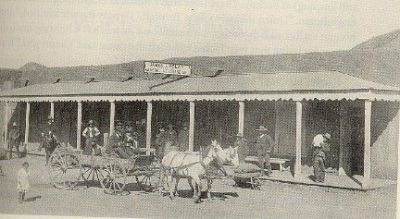 When McSween and the others attempted to flee the following morning, he was shot and killed, along with several other Regulators. With the leadership of Billy and Jim French reassessed their position, before going out guns blazing and escaping. Casualty figures for the battle were varied, but the Regulators lost, at least, five men, included McSween while Peppin's posse also suffered two dead: Bob Beckwith and Charlie Crawford. The widow Susan McSween tried to have the Murphy-Dolan faction prosecuted, but no legal action against them was taken. Col. Dudley was placed under investigation for his failure to complete his peace-keeping mission, but was cleared a year later when the army decided not to file charges. In September 1878, President of the United States Rutherford Hayes dismissed Governor Samuel Beach Axtell, replacing him with Lew Wallace. He was determined to reduce the lawlessness in the state. By that time, the remaining Regulators had broken up, many returning to normal lives. Scurlock, for instance, moved to Texas, where he settled down and raised a family. He and his wife had ten children, and he managed the local mail station; he died in Eastland, Texas, at 80 years old. The cousins Frank and George Coe also went straight, leaving Lincoln and living to be old men. In 1934, George Coe published his memoir, Frontier Fighter, recounting his part in the Lincoln County War and his friendship with Billy the Kid. Others, such as the Kid, Charlie Bowdre, Tom O'Folliard, and Jose Chavez y Chavez, stayed on the wrong side of the law. Over the next few years, Bonney, Bowdre, and O'Folliard, who were bandits, were hunted down and killed by Sheriff Pat Garrett and his deputies. Chavez was convicted of murder and sentenced to life in prison in 1894 in an unrelated case. After receiving a pardon in 1910, he lived lawfully and in relative peace. Governor Lew Wallace issued general amnesties for many said to take part in the conflict. He issued warrants for others, such as Bonney. He met him in Lincoln, where he offered the Kid a pardon if the latter would testify against the Murphy-Dolan faction in court. The Kid agreed, and after a staged arrest gave his testimony at trial. Wallace failed to grant the promised pardon and ignored Billy's subsequent correspondence imploring the governor to hold up his end of the bargain. The Kid escaped from jail, and Wallace issued a warrant and offered a $500 reward for his arrest. 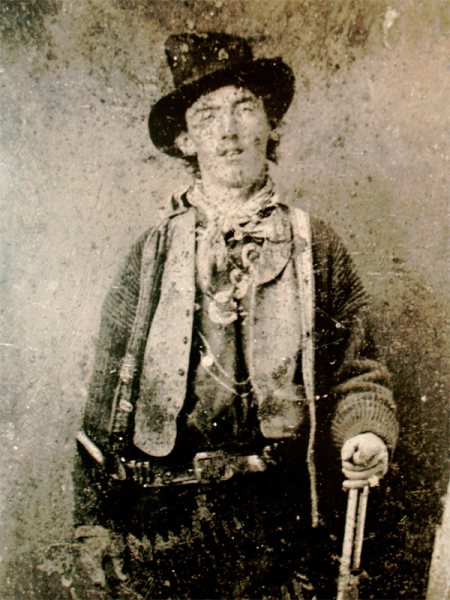 The "war" led to the notoriety of Billy the Kid, who was eventually killed by lawman Pat Garrett. The state considered a posthumous pardon of Billy the Kid in 2010, but this was protested by law enforcement groups and descendants of the three officers killed by the Kid.